Vision loss in seniors after cataract surgery may be prevented with new eye pressure test. Cataracts are a common condition associated with aging, and nearly half of seniors over the age of 75 will develop cataracts. A tonometer is often used to measure eye pressure, but is rarely used in surgical settings. 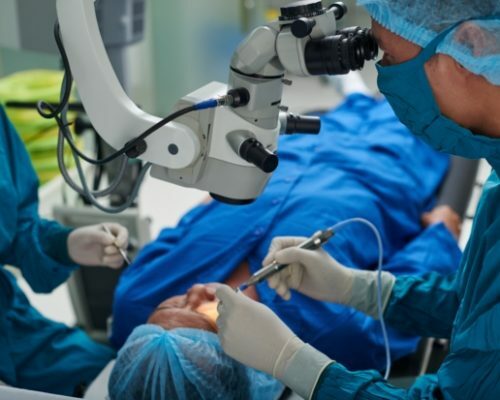 The researchers looked at 170 patients who had eye pressure adjusted after cataract surgery with a tonometer and found that patients were 2.5 to four times less likely to develop cystoid macular edema. Normal eye pressure readings should be between 16 and 21 mm Hg. High eye pressure often resolves on its own within a few days, but when eye pressure remains, the patient can develop eye symptoms, including nausea and eye pain. If eye pressure isn’t adjusted, it can result in permanent eye pain. For the most part, cataract surgery is uncomplicated and the risk of post-operative complications is low. In the event of complications, you may experience throbbing or severe pain in or around the eye, severe frontal headache with or without nausea or vomiting, sudden deterioration of vision, increased redness of the eye, or the sudden appearance of black spots, specks, or streaks in your line of vision. If you do experience any of these symptoms, you should see an eye specialist right away. One of the most common cataract surgery complications is known as posterior capsule opacity (PCO). Occurring roughly in 20 percent of patients, in PCO, the posterior capsule becomes hazy. This can occur either during surgery or months after surgery. Due to this hazy vision, some patients refer to PCO as a second cataract, although it is not, as cataracts do not come back. PCO can be treated in a procedure called YAG laser capsulotomy, which is safe and painless. The eye is dilated with dilating eye drops, and a laser removes the hazy portion of the posterior capsule. There no incision made and the eye is never touched. Anti-inflammatory eye drops may be prescribed following this procedure. Another complication of cataract surgery is dislocated intraocular lenses. As a result, the patient can see the edges of the lens implant and experience double vision. The intraocular lens can become dislocated because during the surgery the lens is placed in the capsular bag. Although maintaining the integrity of the capsular bag is the first priority for the surgeon, in some cases the lens can be positioned incorrectly, because the capsular bag is extremely thin and can sometimes rupture or break. The bag itself may dislocate or break, too, due to weakness of the fibers holding it in place. In many cases, the intraocular lens can be repositioned through a second procedure. The risk of a dislocated intraocular lens is only 0.1 percent in 20 years and 0.7 percent over 25 years, so it is not that common. For the most part, cataract surgery is safe and uncomplicated, so you shouldn’t experience too many problems during the recovery period.